The crisis at Barcelona has been highlighted this summer with the departure of the proposed heir to Messi’s throne, Neymar. 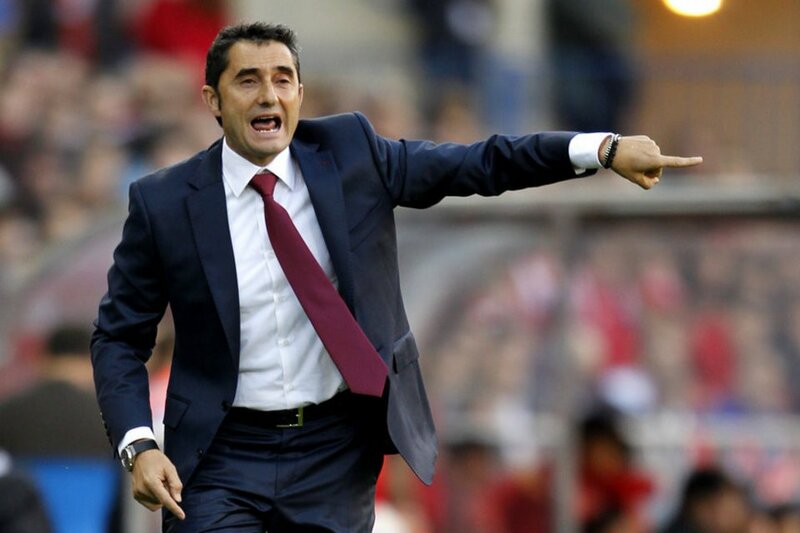 However this crisis has not just occurred from one bad summer, it has been formed through the repeated mistakes of the Barcelona board which has left Ernesto Valverde with an ageing squad in desperate need of replacements. Barcelona’s dominance from the year’s 2008 t0 2012 was largely based on three things. First was Pep’s tactical philosophy, which was clear, structured and effective. Second were the players that Pep had at his disposal. Iniesta and Xavi fitted perfectly playing as Pep’s to midfielders ahead of Busquets. The use of Dani Alves as a right wing back was also critical to the whole system. Third was the ability to promote young players from La Masia, players that could fill in positions in Pep’s structure which meant that Barcelona did not have to buy squad players, they could promote them from within. This was seen with the emergence of players such as Busquets, Pedro, Thiago Alcantara, Rafinha, Sergi Roberto and Jeffren. After Pep left, Barcelona had a reassessing period. After going through Tito Vilanova and Tata Martino as managers, Luis Enrique, a former player was given the job. Enrique had success in his first season, winning the treble, as Guardiola did in his first season. However the difference between Pep’s team and Enrique’s was clear. Whilst Pep’s Barcelona team had it’s greatest strength in the system, Enrique’s had it’s greatest strength in the front three. With Messi, Neymar and Suarez playing as a front three, Enrique had less reliance on the two midfielders ahead of Busquets. Whilst both teams played a 4-3-3, Enrique’s side was more direct in terms of moving the ball quicker into the final third, less dependent on the structured positions of players in the build, as seen in Pep’s 2008/09 team. The decline we see today can be traced back to Tata Martino’s spell in charge, in the 2013/14 season. With Xavi ageing it seemed like either Thiago or Cesc Fabregas would slip into his role in the side, yet Thiago was sold to Bayern that summer for around £20 million in order raise money for the Neymar signing. The next summer Fabregas was also sold for to £30 million to Chelsea. At this stage Xavi was on the decline and it would be his last season in the 2014/15 campaign. Ivan Rakitic was signed as his replacement, which turned into a success as Barcelona won their second ever treble. However the main problem for Barcelona was beginning to emerge They had a group of players all coming into their late 20’s early 30’s at the same time. Rakitic, Iniesta, Busquets, Mascherano, Suarez, and Pique were all around the same age bracket and all key players to Enrique’s Barcelona side. Barcelona’s fundamental mistake was that they didn’t look to the future when they were having success. When they won the treble in 2015 they sat on their hands. Thiago should have been kept, but due to a lack of playing time triggering a release clause he was able to leave on the cheap. In 2017, Thiago would be the perfect replacement for Iniesta, instead Barcelona have ended up spending over £40 million on an average player in Andre Gomes and £30 million on Arda Turan. In comparison, Real Madrid have done what any big club should do during a period of success. They have kept their key components instead of forcibly buying players that they want rather than need. Real madrid’s starting eleven has been together, relatively untouched since Ancelotti’s Champions League win in 2014. However unlike Barcelona, Madrid have refined their squad with players under 23. Whilst Barcelona bought Alcacer, Turan, and Gomes for big money, Real bought Ceballos, Theo Hernandez, Marco Asensio and Kovacic all players under the age of 23, as well promoting players like Llorente, Vallejo, resigning Morata and Casemiro. Madrid bought young players for reasonable prices so that when Kroos, Modric, Bale or Ronaldo do fall into a period of decline those young players are just coming into their peak. From this diagnosis, it is clear and evident that Barcelona’s transfer business has been appalling. Arda Turan, Jeremy Mathieu, and Paulinho this summer were bought, for relatively large transfer fees, to be used as squad players but all were in their late 20’s, which means when the decline of Iniesta, Pique or Suarez hit, those squad players were, or will also be in decline. Alcacer was signed with no plan of how he would fit into the system. He is a poacher who operates on the shoulder of the last defender, but is now playing on left of a front three. Andre Gomes, who was an average player at best when he was signed in 2016, seems well below the standard needed to replace. The signing of Paulinho for £36 million is also baffling. The 29 year old is not good enough to start ahead of Rakitic, Iniesta or even Sergi Roberto, and is going to need replacing in one of two years. Bartomeu and the whole Barcelona board have to be blamed for wasting nearly £150 million on signing squad players who weren’t good enough or young enough to replace the key components in this Barcelona side. The next summer transfer window is crucial for Barcelona. Ousamane Dembele has already been bought in to play on the left of the front three with Suarez and Messi but there still needs to be a proper Iniesta replacement and a player to replace the 29 year old Ivan Rakitic, as well as Sergio Busquets. £150 million will probably be the budget for Barcelona to spend next season plus the money received from offloading bit part players like Rafinha, Gomes, Turan, Alcacer and Denis Suarez. Barcelona will have to buy wisely, not only will the players they buy have to be exceptionally but also under 25, so that in a few years they aren’t left with the same problem they now face. Jean Michel Seri from Nice would be a perfect replacement for Xavi, in that Rakitic role and would only cost the £40 million asking price. Whilst Christian Eriksen would seem ideal to replace Iniesta it would be a matter of Barcelona’s finances, considering he would cost £110 million plus. Fabinho also could be target to replace Busquets in that deep lying role. Whilst all of these would seem perfect for the Barcelona board to target, with the irresponsible spending that has been seen in the past, it could be a case that with the lack of youth prospects and poor transfer business, Barcelona’s decline continues for a few more years.